HUNTS POINT, Bronx (WABC) -- Investigators are looking into the cause of a radiator steam blast that killed two young children Wednesday in a Bronx apartment. The Bronx District Attorney's Office is also opening an investigation into landlord Moshe Piller and into 720 Hunts Point Avenue, where the children died. 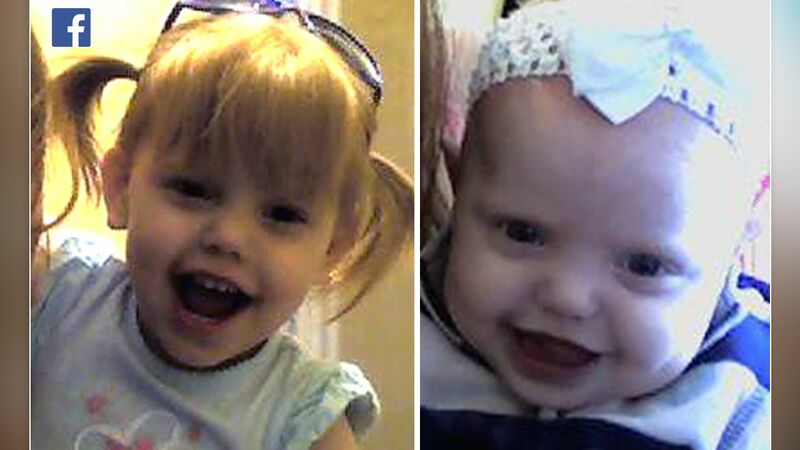 The sisters, identified as Scylee Vayoh Ambrose, 1, and Ibanez Ambrose, 2, were taken to a hospital where they were pronounced dead after suffering steam burns. An autopsy confirmed that the cause of death for both girls was hyperthermia and thermal injuries due to exposure to hot steam. The manner of death for both is "accident." A memorial grew Thursday at the building on Hunts Point Avenue near Spofford Avenue in the Hunts Point section, where people dropped off balloons and teddy bears. Peter Ambrose lit a cigarette Thursday night and stared out at the vigil that has risen where his two daughters died. The girls' mother, Danielle came by as well. There are candles now and flowers, grim reminders all of what no one there, will ever forget. Mayor Bill de Blasio said the girls were in the bedroom with the door closed when the valve started leaking, allowing a tremendous amount of steam to build up in the room. "If the door had been open I think it would have been a much different reality," said the mayor. A city official said the mother left the apartment, with both girls sleeping in the bedroom with the door closed. The father was sleeping in the living room. The official said the mother returned, knocked on the apartment door and the father opened. The mother then opened the bedroom door to find room filled with steam and girls unconscious. A large amount of steam spread from the apartment into the common hallway. Parents and neighbors who rushed in attempted to perform CPR. "I couldn't sleep, the image of that father was screaming was still in my head," said eyewitness Marisol Rodriguez. "The father came out of the apartment with the two girls in his arms screaming, 'my daughters, my daughters, they burned." She said the mother was giving one daughter CPR, and the father was holding the other daughter, desperately trying to wake her up. Both children were badly burned, showing no signs of life. Officials say it appears a radiator valve blew off, causing scalding hot steam to shoot out and severely burn the girls. Outside the building, police consoled the father, who was overwhelmed with grief. In an interview for Channel 7's "Up Close" Thursday, Mayor de Blasio said the apartment didn't seem to have any serious violations, that there was an inspection there just last month, and that the circumstances there Wednesday, obviously under investigation, sound like a perfect storm. 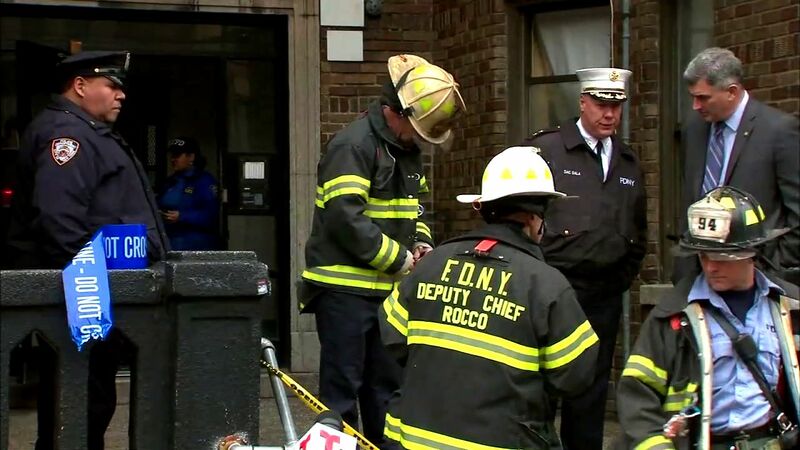 "The fact that somehow, as much steam could have come out of that valve, an extraordinary amount, and of course the door of the room was closed, which allowed the steam to accumulate," said the mayor. Steam is over 230 degrees. "That's deadly. That'll burn you in a heartbeat. You can see the threads are all worn out there," said Michael Petri, of Petri Plumbing in Bay Ridge. Petri says the threads on either the valve or the radiator itself must have gotten stripped over time. "If this isn't secured in the end of the radiator (steam builds up?) Right," Petri said. The father, so overwhelmed in grief Wednesday, seemed Thursday to blame the city. "That's New York public housing, I guess," he said. The city's public advocate visiting the site struck a much different tone from the mayor. "Government failed these two children and we need a full investigation by all these agencies so it will never happen again," said Public Advocate Letitia James. She suggested a lack of transparency in certain apartments inspected by the Department of Homeless Services as opposed to others for full-time residents. "This was not a freak accident by no means," said James. The radiator was taken away as part of the investigation. Eyewitness News has learned the boiler in the building passed its last inspection in August and showed no signs of a defect. "All of the radiators in the building were inspected last night and the heat was restored after that inspection," de Blasio said. "Nothing in the inspections that we have seen so far indicated anything in any apartment that would have led to this." N.J. Burkett has the latest details. The family, which is originally from Maine, was staying in an apartment that was being used to house homeless families. The couple was the subject of a total of six child welfare cases in New York State and Maine. The most recent case was in January 2016 in New York State. Peter Ambrose has two prior arrests -- possession of a hypodermic needle in July 2015 and fare beating in 2012.